1. Need for adequate shelter? Is your present housing unsafe, unhealthy, too crowded or too expensive? 2. Ability to pay. Can you pay a small monthly mortgage payment? Are you working on your credit rating? Does your family income fit the guidelines below? 3. Willingness to “partner.” Can you, along with friends and family, do 350 hours of sweat equity? The income guidelines released by the Department of Housing and Urban Development (HUD) are listed below. These serve as a guideline or starting point. The Family Selection Committee also has to review the family’s debt to ensure that purchasing this home–even though there isn’t any interest–is a good option for a family. Please check the chart to see if your income falls within the guidelines. If you would like to learn more about home ownership, call us at 419-435-2884 or click on the Fostoria Application Package. If you answer “yes” to all the statements on the Partner Eligibility Requirements (Section A) page, then you are invited to complete the Partner Application Checklist (Section B) and complete the Application for Housing (Section C) for the Habitat Partner Program. 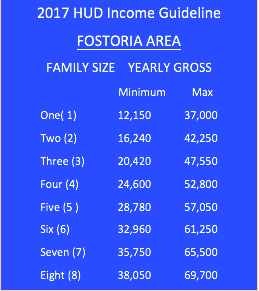 Section A, B and C are all included in the Fostoria Application Package. 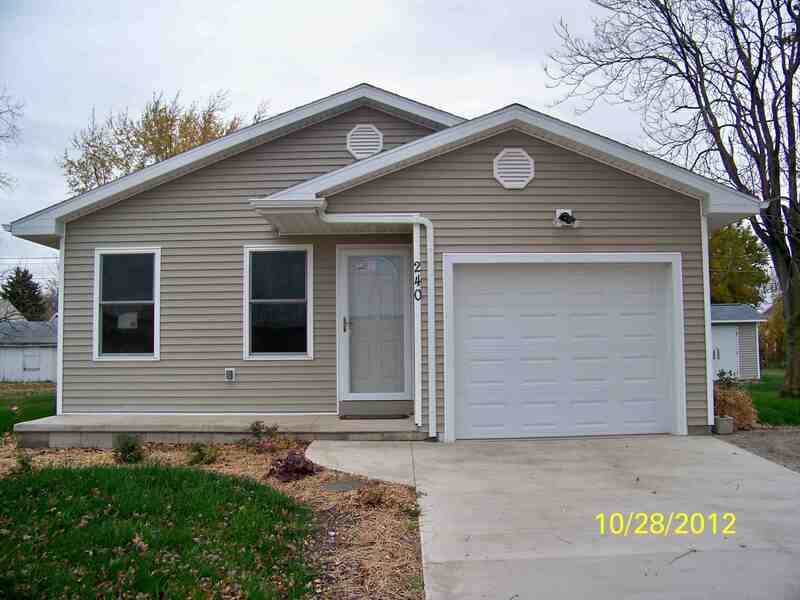 Once you have completed “all” the requirements of Section B and C, please send to Fostoria Area Habitat for Humanity, PO Box 607, Fostoria, Ohio 44830 or you may call and make arrangements to bring the completed application to the office, 419-435-2844. We will contact you after we receive your completed Fostoria Application Package. 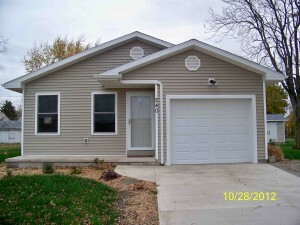 FaHfH looks for families of good character in need of adequate housing, who have a regular, stable monthly income but are unable to qualify for a conventional home mortgage through a bank.